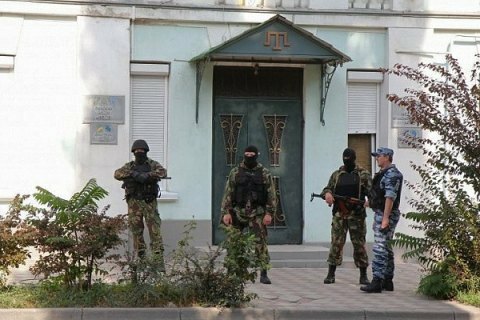 Outlawing Mejlis spells new reprisals against Crimean Tatars. Ukraine's Crimean prosecutor's office, currently headquartered in the building of the Prosecutor-General's Office of Ukraine (PGO) in Kyiv, announced launching criminal proceedings with regard to the illegal ban of the Crimean Tatar self-styled government Majlis (Mejlis) on the territory of the annexed peninsula. Mejlis is the highest executive-representative body of the Crimean Tatars in between the sessions of the Qurultay of the Crimean Tatar people. "The prosecutor's office of the Autonomous Republic of Crimea exercises procedural aspects of criminal proceedings in respect of the actions taken by the illegally established 'prosecutor's office of the Republic of Crimea' to unlawfully ban the activity of the representative body of the Crimean Tatar people, the Mejlis," a statement on the official website of the PGO reads. It says that the ban means the continuation of reprisals against the Crimean Tatars, as well as all citizens who oppose the temporary occupation of the Crimea, and “ignores the norms of international law in the field of the rights of indigenous peoples." On 18 April, Russia formally recognized the Mejlis an extremist organization, the next day after the Russia-controlled “prosecutor" of the Crimea Natalia Poklonskaya issued an order to suspend the activities of the Mejlis. In this regard, the head of the organization, Refat Chubarov, called for an urgent meeting of the UN Security Council. Earlier today, speaker Andriy Parubiy on behalf of the Ukrainian parliament called on the UN Security Council to respond to the ban of the Mejlis and described the suspension of activities of the organization “manifestation of fascism”.